I’ll admit it. I get geeked out about creating sales and marketing alignment in small and mid-sized business (SMBs). I’ve rarely seen something as important as alignment that so few companies have mastered. While sales and marketing professionals are all geared to achieve the same goal – driving demand and (profitable) revenue, the reality for most organizations is that the two efforts operate in a parallel, non-reinforcing structure at best; and on an opposing basis at worst. According to a study by CEB 87% of the terms sales and marketing teams use to describe each other are negative. Recently our marketing manager wrote about the challenge of this very subject. Developing an effective service level agreement (SLA) between sales and marketing is a crucial piece of creating alignment, establishing mutual accountability and ensuring that the proper actions are taken by all parties to move an organization forward. While we’ve known for years the qualitative benefits of an SLA, recent research highlights the quantitative impact. The 2015 State of Inbound Marketing report is one of the reports I look forward to every year. Every year, HubSpot digs deeply into the marketing and sales community to see how things are progressing with inbound methodology. Over the last couple of years, the results of the report demonstrate that inbound marketing has left its infancy stage where the major focus is on adoption, to a more mature phase where the results are focused on results and ROI. With approximately 75% of businesses adopting at least a portion of inbound methodology, adoption is clearly not the driving issue it once was. The top two challenges (by companies of all size) today are proving the ROI of our marketing activities and securing enough budget. A new focus of the report this year was an analysis of what the companies that were experiencing the most success were doing, and how that differed from those that weren’t. The opportunity to get an insight into these real-time best practices is a great opportunity to check what you’re doing against the best. I’m certainly not going to claim that an SLA is the single biggest action you can take if you want to grow your business. In fact, I often warn people about confusing causation with correlation and I want to emphasize that SLAs correlate with success, they don’t cause it. It’s no surprise that SLAs correlate so closely with success. Having developed several (both internally for Imagine and externally for clients) I can attest to the fact that creating them is often a pain in the, uhm, well you get the point. 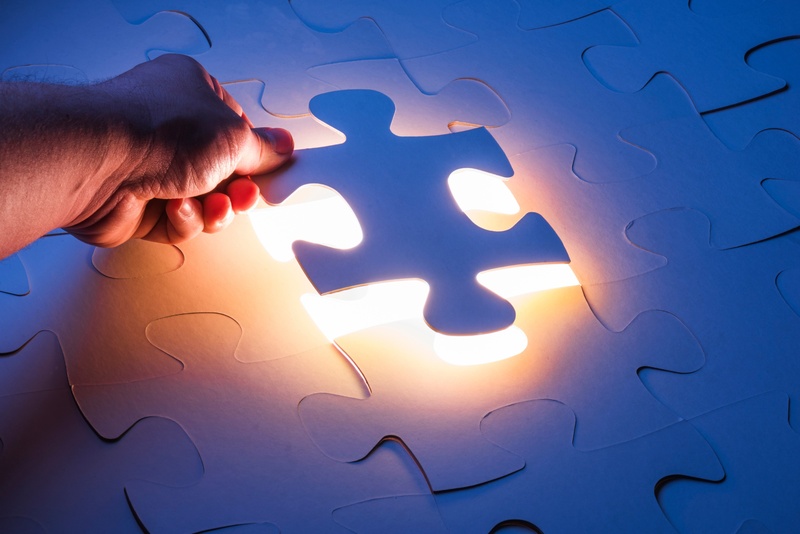 SLAs make you think through all of the issues and often highlight weaknesses in your sales/demand generation process and points out where there’s confusion. There have been many times that I thought we had the process nailed down, only to realize that as we were completing the SLA, that there was still work to be done. It is said that great communication is speaking, not so that you can be understood, but so that you cannot be misunderstood. An effective SLA ensures that nothing can be misunderstood. This is an important reason that even the smallest of companies should go through the process of creating an SLA. Another reason that SLAs correlate with success is that they reinforce what I like to call rituals of success. You show me a top performer or a top performing team and I’ll show you someone who follows a set of routines that contributes to their ability to perform. The act of creating, monitoring and revising an SLA creates such a routine. It forces everyone to look at the important contributors of success in a common manner and ensures that everyone is singing from the same proverbial hymnbook. 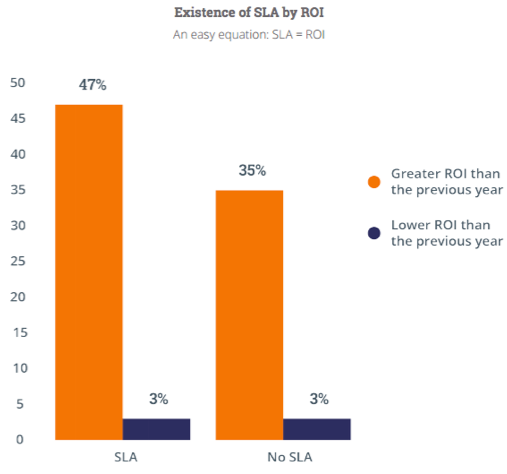 One more finding from the State of Inbound report that contributes to the value of an SLA is that marketers who check their metrics at least 3x per week are over 20% more likely to achieve positive ROI than those that don’t. Again, no surprise there, as the adage goes what gets measured gets done. However, when only marketers are checking metrics and there is no context to those metrics, you’re still only gaining a small portion of the benefits of tracking and monitoring. SLAs create the context for everyone, and that’s key to unlocking the growth genius within your company.